Business actors, students and professionals in the Territory will receive training and educational resources from Singapore’s leading National University of Singapore (NUS), following the signing of a Memorandum of Understanding (MoU) between the Government and university officials. 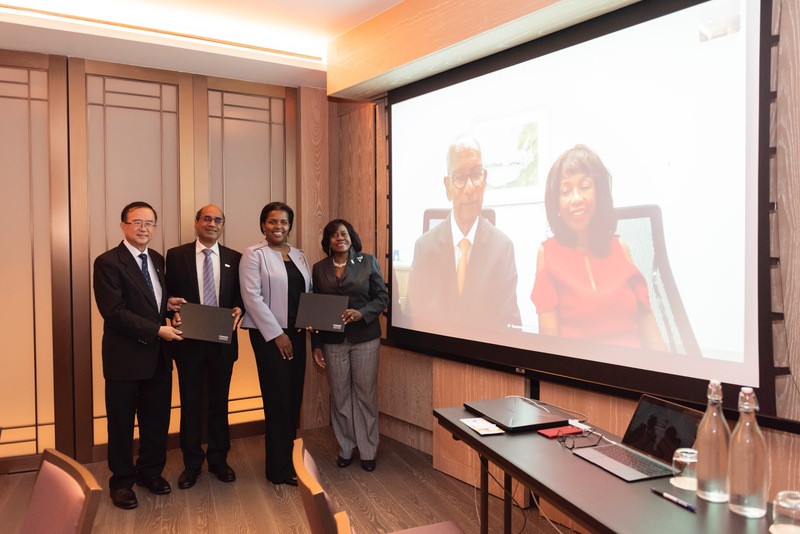 The official agreement was signed by representatives of the NUS Computing and representatives of the Government of the Virgin Islands at a private leaders’ dialogue event in Singapore on Monday, November 12. This represents the first formal educational initiative to exist between the University and the Government of the Virgin Islands. 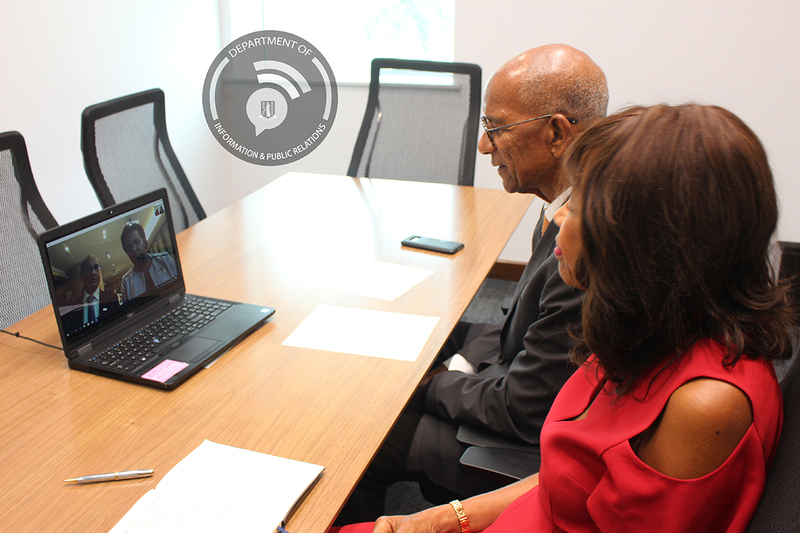 Premier and Minister of Finance, Dr. the Honourable D. Orlando Smith, OBE witnessed the signing via e-conferencing along with Interim Director for BVI Finance, Mrs. Lorna Smith, OBE. Premier Smith said this collaboration with the university comes at an opportune time when the Government seeks to reposition itself digitally and to foster innovation, investment and the development of new businesses in all sectors of the BVI economy. The announcement of the official agreement between the BVI and the university follows the recent launch of the NUS Cryptocurrency Strategy, Techniques, and Algorithms (CRYSTAL) Center, an academic research lab and think tank, aiming to lead as one of the world’s foremost centres for research on blockchain technology. The agreement also formally recognises the alignment of the long term goals of the university and the Government of the Virgin Islands, to further expand the educational initiatives and resources available to Government and businesses, to capture the opportunities presented by emerging AI (Artificial Intelligence), blockchain, cloud, cryptocurrency, and data technologies. The strategic relationship fostered as a result of the agreement is expected to increase collaboration, cooperation, and innovation between parties, as they seek to leverage their joint resources to train the next generation of global actors and effectively connect the worlds of academia, technology, and finance. The signed agreement further serves as a significant step for both the NUS Computing and the BVI, bringing together one of Asia-Pacific’s leading universities and research centres and the BVI, a longtime leader in the financial services industry. The signing agreement was held in the Andaz Hotel in Singapore at an event which brought together technological, academic, financial, and regulatory thought leaders from around the world to discuss the future of the global economy and the role of emerging technologies in shaping industry and enterprise. BVI representatives present at the signing of the MoU in Singapore included the Acting Permanent Secretary in the Premier’s Office, Ms. Dawn Smith; President of the H. Lavity Stoutt Community College, Mrs. Judith Vanterpool and Deputy Managing Director (Corporate Services) of the Financial Services Commission, Mrs. Jennifer Potter-Questelles. The National University of Singapore (NUS) Computing is one of the leading computing schools in the world, and part of Singapore’s flagship university. Founded in 1975 as the Department of Computer Science of Nanyang Technical University, the NUS Computing was established in its current capacity in 1998. With faculty members who are internationally recognised researchers and teachers, NUS Computing offers degrees and both the undergraduate and graduate level in computer science, information systems, computer engineering, business analytics and information security, as well as specialisations in emerging areas of importance such as artificial intelligence, FinTech, blockchain, analytics and security. With a large and accomplished school of alumni, the NUS Computing prides itself on instilling in students a spirit of entrepreneurship and leadership through mentorship, community service initiatives, and special programmes. NUS Computing is a noted supporter of innovation, with a number of homegrown initiatives, including The Furnace, a start-up incubator, offering funding, infrastructure, and management support to projects to bring original ideas to commercial fruition. The National University of Singapore (NUS) is Singapore’s flagship university, offering a global approach to education and research, with a focus on Asian perspectives and expertise. With 17 Faculties and Schools across three campuses, NUS provides a broad-based curriculum underscored by multidisciplinary courses and cross-faculty enrichment to more than 38,000 students from 100 countries. NUS takes an integrated and multidisciplinary approach to research, working with partners from industry, government and academia, to address crucial and complex issues relevant to Asia and the world. Researchers in NUS’ Faculties and Schools, 30 university-level research institutes and centers, and Research Centers of Excellence address an array of industries and topics, including: energy, environmental and urban sustainability; treatment and prevention of diseases; active ageing; advanced materials; risk management and resilience of financial systems. The University’s latest research focus is to use data science, operations research and cybersecurity to support Singapore's Smart Nation initiative. For more information on the National University of Singapore, visit www.nus.edu.sg.